Only 75 minutes away from Bhubaneswar, near Tangi, lies the magical bird paradise of Mangalajodi. Located at the north-eastern edge of Chilika lake, this 10 sq km patch of marshland has remained in the shadow of its famed parent lagoon. Mangalajodi is one of thelargest of the 132 villages that stand on the banks of Chilika Lake. With three lakh wintering avian visitors descending into its folds annually, Mangalajodi holds the distinction of being one of the greatest conservation stories of the world, a conservation effort that has sustained and stood the test of a time span of more than twenty five years. From a deadly poacher’s den to a protector’s bird paradise, Mangalajodi is a story of hope, struggle, reformation and revival. This turnaround story that started with the efforts of anindividual, inspired others, including government and non-government agencies to intervene and supplement the conservation efforts. 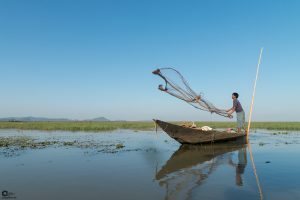 The magical beauty of the habitat, its position of pre-eminence in the Chilika ecosystem, and the exemplary conservation story make Mangalajodi a gem in the biodiversity map of the world.Twenty years ago, local NGO’s and residents waged a tough and stormy battle to change mindsets of villagers. Through years of untiring endeavour, the power of persuasion emerged victorious. Today, cases of bird poaching reported from Mangalajodi are few and far in between. The habitat is now a safe haven for its avian visitors as well as a paradise for bird lovers. 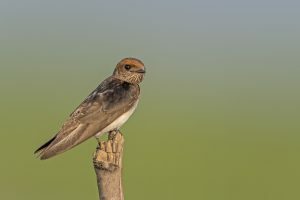 Today, Mangalajodi, stands tall as a symbol of resurgence of natural habitats and processes due to positive interventions, and is on the way to becoming one of the most favoured bird-watching destinations of the world. A rich natural inheritance such as Mangalajodi belongs to the whole world. With global warming and climate change looming large over the earth, this critical expanse of biodiversity needs to be sustained for the cause of common good and as a inheritance for future generations. 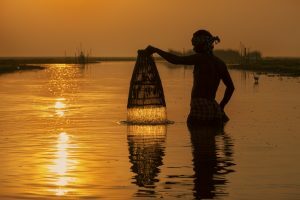 With the ongoing efforts to secure UNESCO World Heritage Site status for Chilika, as ardent lovers of the wilderness, we believe that Mangalajodi, its conservation story, and its biodiversity must receive attention through all mediums and communities so that its popularization and conservation is disseminated to the widest audience. To this effect, eminent wildlife photographer from Odisha, AvinashKhemka is leveraging photography as a potent medium to not only showcase natural beauty but also to encourage engagement, collaborations, documentation, and, discourse, highlighting the biodiversity of ecosystems, and, advocating the cause of conservation through photographic documentation.Song of the Wild is a not-for-profit organization that focuses on the need to document precious flora and fauna that face intense threat worldwide due to degradation of natural habitats, global warming and climate change. As a part of its core philosophy, the organization focuses on engaging the younger generation with natural habitats and outdoors, in order to inculcate the consciousness of nature conservation in them. Song of the Wild is showcasing photographs of Mangalajodi by Avinash Khemka, in an exhibition titled “The Magic of Mangalajodi” at Lalit Kala Akademi Regional Centre, Bhubaneswar, from 7th to 13th November 2018. This exhibition will be inaugurated by Hon’ble Chief Minister Odisha, Shri Naveen Patnaik, on 7th November 2018 at 6.00 pm. 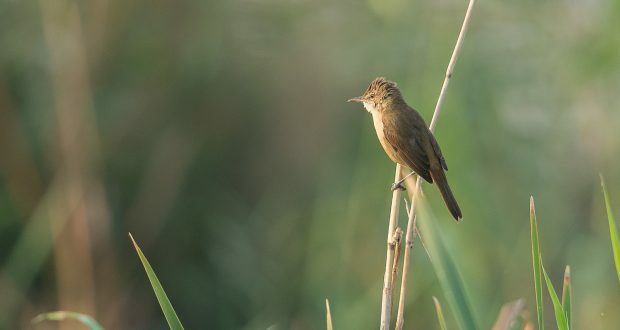 These images have been visualized and shot from varied perspectives, and reflect the beauty and potential of this rich wetland habitat, which lies strategically at close proximity to the capital city, Bhubaneswar. The photographs are printed and mounted to world class standards. For the very first time in India, the images have been printed on imported metal sheets, rendering a lustre and clarity incomparable with any other medium. This event therefore would be a treat for lovers of art, photography, conservation and aesthetics, conforming to the highest levels of exhibit and display. Avinash Khemka is a Odisha based amateur wildlife photographer. He has been photographing wild habitats in India since the last seven years. Driven by an intense seeking of solitude, his soul found solace and bliss in the forests, hills, rivers and mountains.On his first ever visit to the Mangalajodi wetlands, he was dazzled by the magical beauty of the habitat as well as the jostling flocks of birds that seemed to carpet the scape and the skies. This pristine bird paradise that holds one of the world’s greatest conservation stories in its folds, beckoned him again and again. 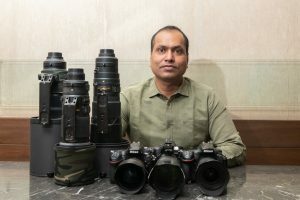 As Avinash says – “on every visit I wished that I could just stay back and remain immersed in the soothing pristinity of nature’s canvas.” With state-of-art photography equipment to aid him, he began to capture the avian diversity and landscapes in his lens, through the seasons, year after year. More than one hundred visits and ten thousand images later, his friends encouraged him to showcase his work. This exhibition therefore is a loving homage to a habitat that is imprinted in the soul of the nature lover and photographer. The idea behind the display is to not only take the beauty of the habitat to a larger audience, but to also disperse the conservation story to the world, and contribute towards ongoing conservation efforts at Mangalajodi. The exclusive frames on display have been curated specially for this exhibition by renowned author and ornithologist, Bikram Grewal, and eminent wildlife photographer of India, Sandeep Dutta.Each frame transports a slice of wilderness into your home and heart, and also contributes significantly towards sustainable conservation of this precious wild habitat of Odisha. As the migratory season sets in from November, huge flocks of wintering avians descend into “Mangalajodi Ghera”. The wetlands also play host to significant and diverse populations of breeding residents. 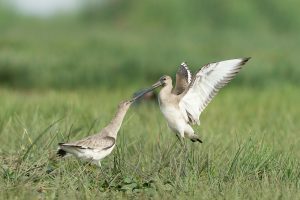 Populations of 15 migratory species exceed 1% of their geographical population at Mangalajodi.Key migratory species: Black-tailed Godwit, Whiskered Tern, Ruff, Northern Pintail, Northern Shoveler, Knob-billed Duck, Garganey, Gadwall, Sandpipers, Citrine Wagtail, Common Snipe, Bluethroat, Pacific Golden Plover, Grey-headed Lapwing, Black-winged Stilt, Peregrine FalconBirds migrate from: Baikal Lake, Aral Sea, Caspian Sea, Mongolia, Central & South-east Asia, and, Ladakh..